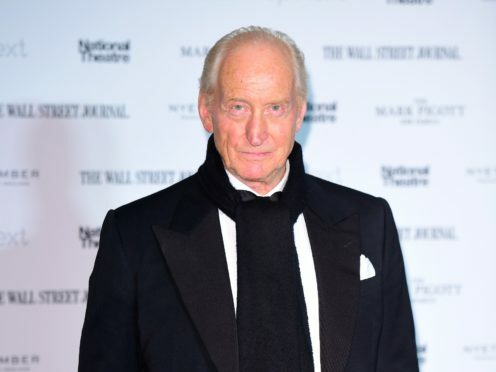 Charles Dance has said that Olivia Colman’s Oscar will make the third series of The Crown a money-maker for Netflix. The veteran actor stars as Lord Louis Mountbatten opposite Colman as she takes over as Queen Elizabeth II from Claire Foy. Speaking at the National Theatre’s Up Next Gala, Dance said Colman’s recent Academy Award for best actress would help the streaming service “make more money”. Filming for season three of the show will begin in August, according to Dance. Asked whether Colman’s gong for her turn as Queen Anne in The Favourite would change the filming process, he replied: “No, I don’t think it will change the atmosphere on the set. The 72-year-old said viewers should expect “wonderful” performances from the ensemble, which includes Helena Bonham Carter as Princess Margaret and Ben Daniels as Lord Snowdon. Dance said he had seen greatness in Colman when he appeared beside her in a Jessica Lange production of Long Day’s Journey Into Night at the Lyric Theatre in 2000. He said: “(You should expect) a lot of fantastic writing and, dare I say it, some rather wonderful performances, not least from Olivia. “I first met her 10 or more years ago when she was in A Long Day’s Journey Into Night, that I was doing with Jessica Lange. Asked how he had got into the character of Mountbatten, Dance said he had turned to historical documents. The biennial gala, held to raise funds for the theatre’s regional work across the UK, was hosted by National Theatre director Rufus Norris. He said: “Our creative industries are fed from across the country, yet all over the country our theatres, art centres and community centres are being strapped.